Discover something unique and new, and brace yourself with the rich heritage of India. It's definitely not a lesser known fact that the history of India is rich in every aspect and this richness clearly showcases from all the great historical monuments and places we have that are famous all over the world. 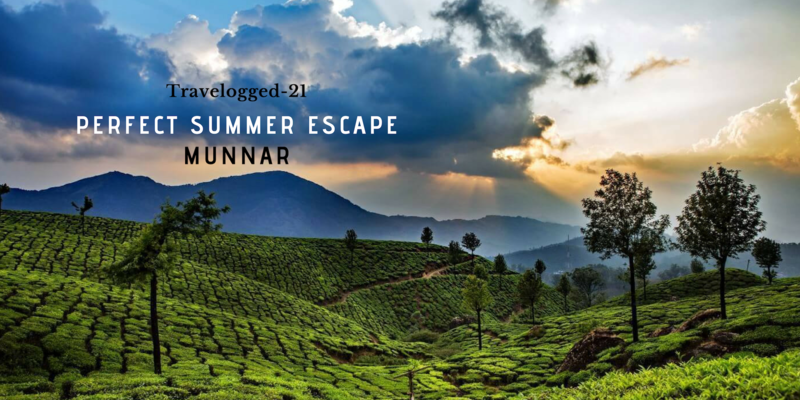 But, there are still many unexplored and hidden jewels in the lap of India that need to be unearthed. 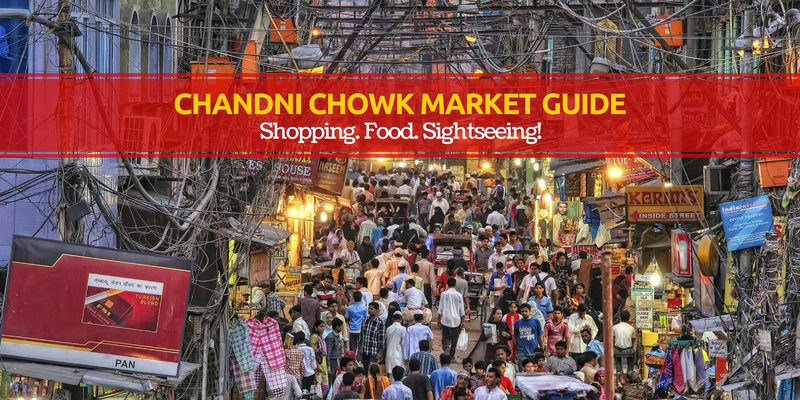 Let's explore those spellbinding and best of the creations that India offers. 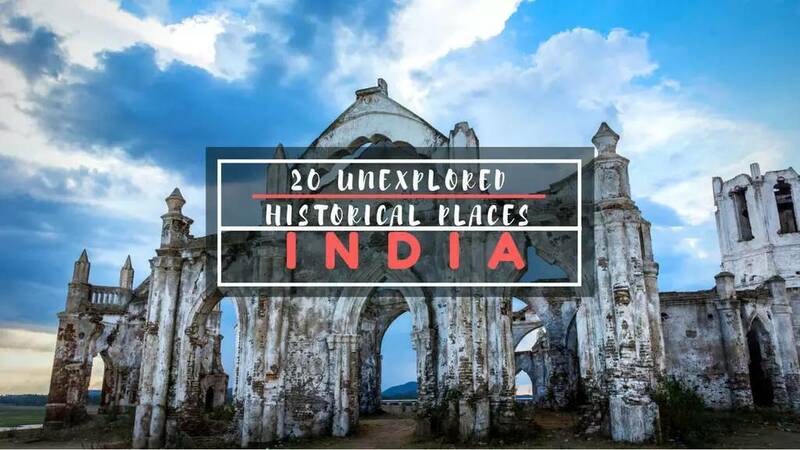 Bringing to you the most remarkable and enchanted Unexplored Historical Places In India you must witness once, in a lifetime. The number of cultures, social background, and religions prevailing has been in India for so many years and this is very clear from our lands history and all its archaeological findings. 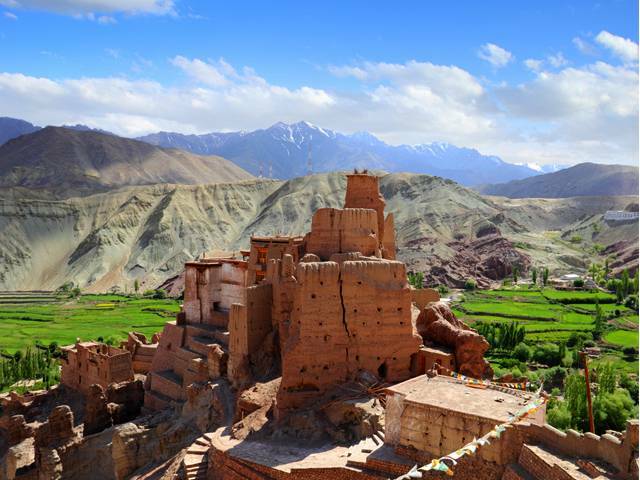 The Basgo fort overlooking the serene Indus River in Ladakh separated the lower and upper Ladakh which was once a very important cultural and political center as it was the seat of the royal ruling family Namgyal. Just adjacent to the place, are 3 temples all dedicated to 3 different forms of Budhha and the goddess Maitryi. Visit the place for inner peace and strength. Where: 42 km from Leh, Easily accessible by road. No, not all temples are just red clothes on the railings and a long queue to get inside to finally get a chance to worship the deity. 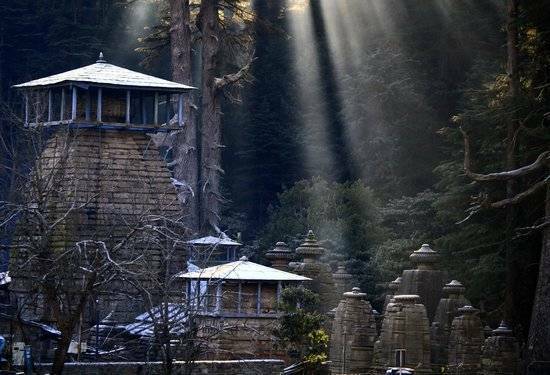 These ancient temples of Maluti in Jharkhand are a marvelous piece of architecture. 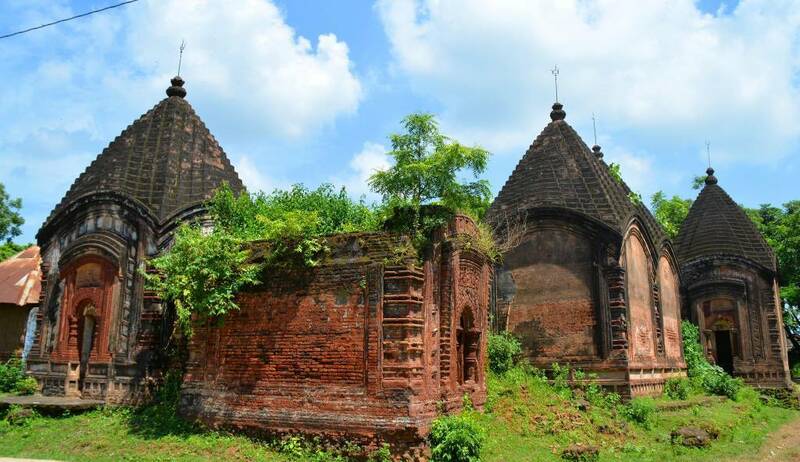 The small town of Maluti near Shikaripara in the wilderness of Jharkhand has about 72 old terracotta temples and is considered to be one of the top ten ruins in the world. Just imagine how old and how symbolic the place must be. The walls of the temple in details narrate the story of Ramayana and Mahabharata. These temples were also featured in the Jharkhand Tableau at the 2015 Republic Day Parade. Where: The village lies near Shikaripara of Dumka - Rampurhat Bus route. The distance from Rampurhat railway station, in Birbhum in West Bengal to Maluti is 16 km and the distance between district headquarters Dumka and Maluti are 55 km. Delhi played a major role in the history of India as it was the governing seat of many ruling dynasties including the Mughals. 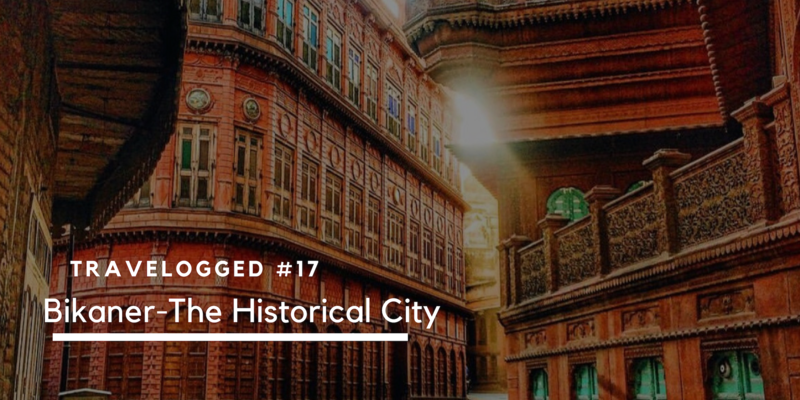 So, without a second thought, we can say that there are still many unexplored historical places in India in the capital city of Delhi. 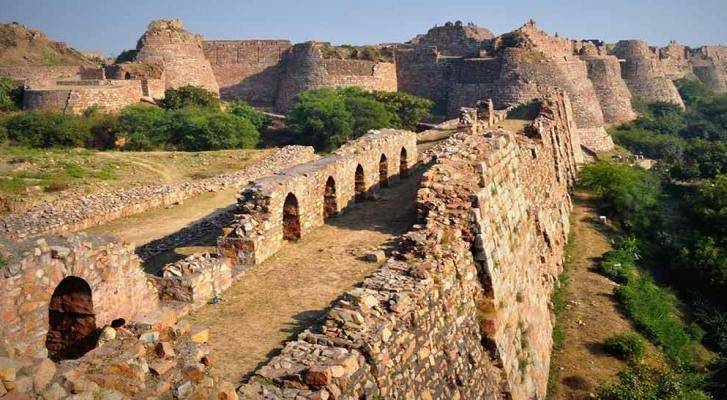 The site of Tughlaqabad has an uncanny resemblance to the ruins of Mohenjo-Daro-Harappa. The place is a beautiful piece of craft showing the advanced heightened techniques of our ancestors from architectural to engineering skills to make artificial lakes, fortresses and high citadels. 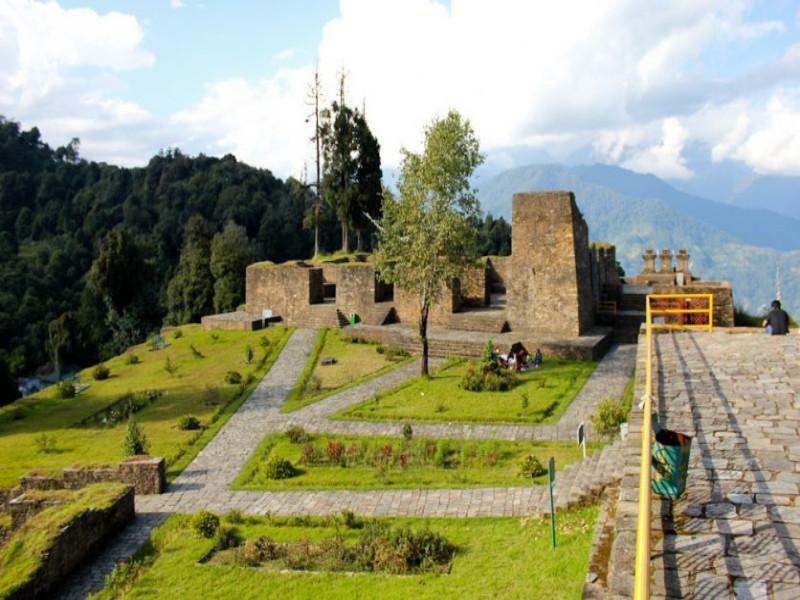 One of the oldest monasteries of the city Pemayangtse, Rabdentese is the vintage old capital of the State of Sikkim. The place has ruins of Buddhist religious pilgrimages. 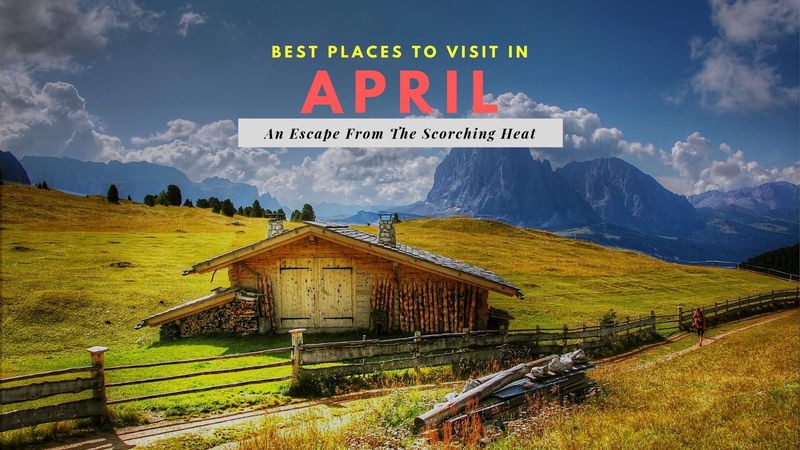 Not only is the place historically rich, but this unexplored historical place in India is a beautiful place with picturesque views and is a great tourist place altogether showcasing the Sikkim culture, beauty, and food. Where: About 107 km west of Gangtok and open all days 08:00 am to 07:00 pm. The most vibrant and colorful state, Rajasthan is so rich in its cultural diversity and one such place is the Kumbalgarh. 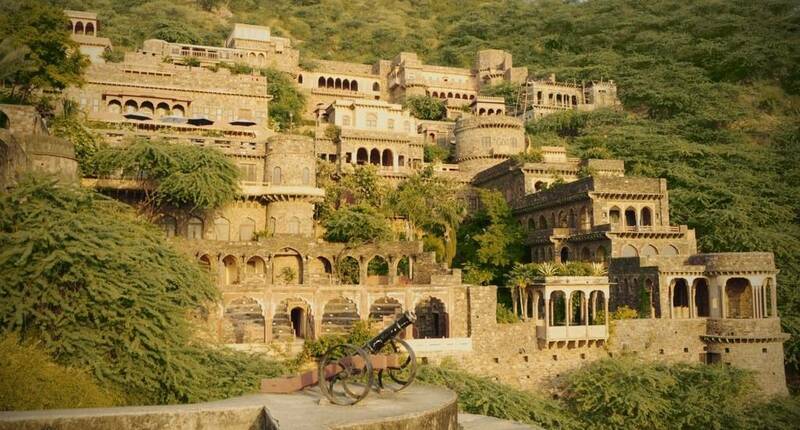 This jewel of Mewar is situated in the Rajsamand district of Rajasthan. It's a full power action-packed place full of culture, wealth, royalty and power in one place. The fort has 366 Jain and Hindu temples and also has a wildlife sanctuary in itself (Yeah you heard that right). Where: Via roadways as there are regular buses of Rajasthan State Government Roadways which connect Kumbhalgarh to various cities. Maharana Pratap Airport at Dabok, Udaipur, is the nearest airport to Kumbhalgarh if you plan to travel by air. From the airport, you can take a taxi to reach the city. Rock carvings, murals, and natural waterfalls are what best defines this place and what makes this place historical is the Shaiba pilgrimage dating back to 7th and 9th centuries. The legendary fact is that this is the place where Lord Shiva rested on his way to Kashi. When all the other gods and goddesses could not wake up in time Lord Buddha set out on his path by himself cursing the others to be turned to stones. 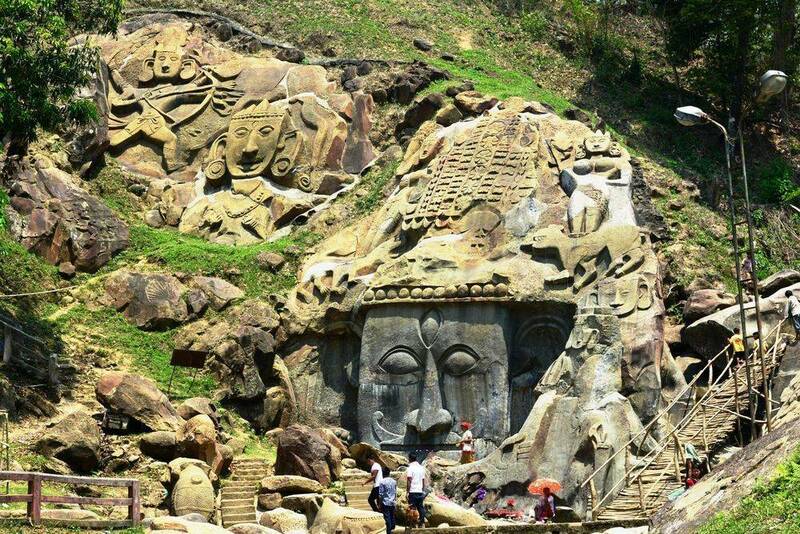 This is why we see one less than one crore stone images and carvings in Unakoti. The Unakotiswara Kal Bhairava is Shiva’s rock-cut carving that is about 30 feet high, surrounded by rock effigies of two females. The same was featured in the Tripura Tableau at the 2016 Republic Day Parade. 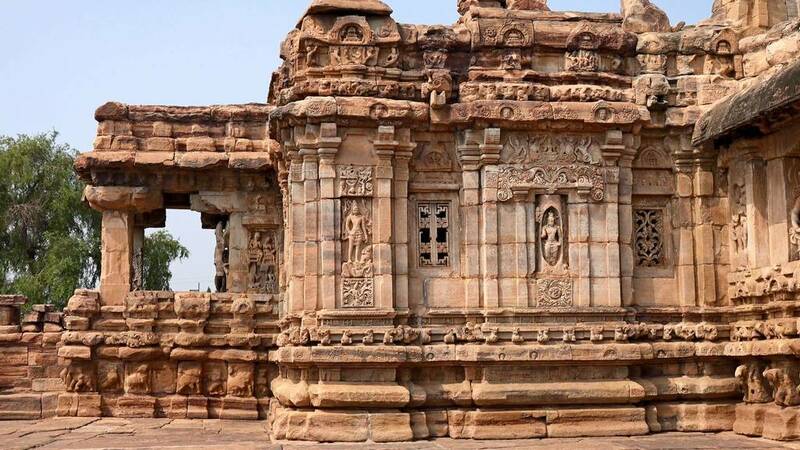 A UNESCO world heritage site, Pattadakal has a number of ancient temples that date back to the 8th century BC. The place showcases a beautiful marriage of 2 different styles of architecture at the time of Chaulakya Rulers. 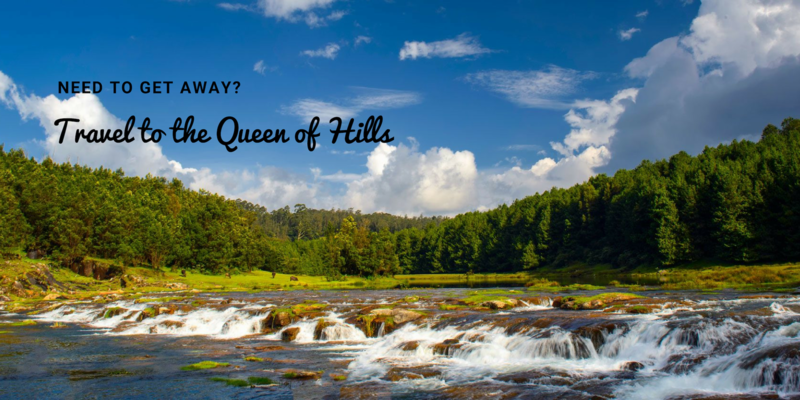 This glorious piece of marvel is one of the unexplored historical places in India which are beautiful and have great historical significance at the same time. Where: The nearest airport is in Belgaum, around 150 km away from the same. 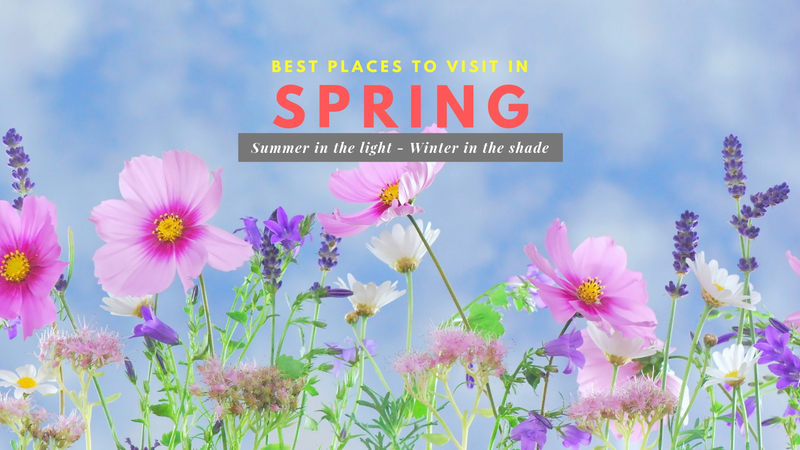 You can take a flight to Belgaum, and thereon, proceed in a taxi towards Pattadakal, or take a train to Badami from Belgaum, and then take a taxi to Patadakkal, whichever is more convenient for you. 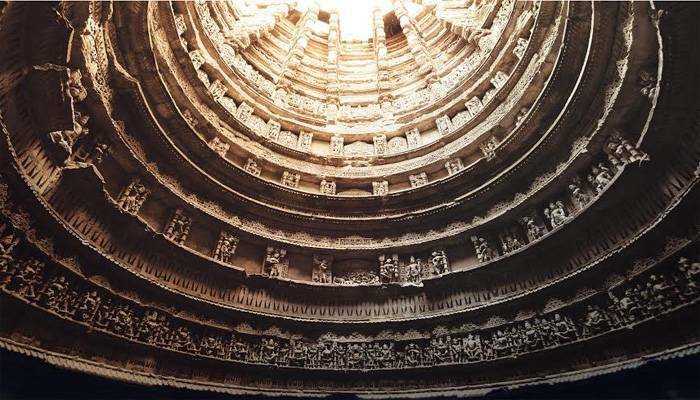 A masterpiece of Civil Engineering the Chand Bawdi is a 13 story well built between 800 and 900 AD. Yes, We said a well! But what's so special about it? 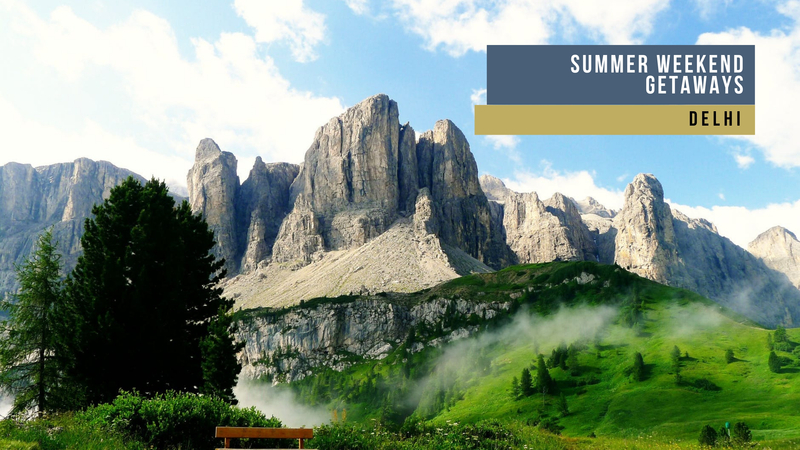 It is a stunning piece of historical marvel because of its lovely architecture that is made of porous volcanic stones which are 5 to 6 degrees cooler than the outside atmosphere, making it less susceptible to the heat of this region. A true piece of genius this is one of the unexplored historical places in India that one must witness once in a lifetime. Where: Roughly around 100 km from Jaipur is well connected by roadways and railway routes. No, Agra doesn't only have the Taj Mahal. Originally, a palace built just for the royal ladies of the Mughal royal family, this beautiful palace is located next to the Akbar’s tomb in Agra. 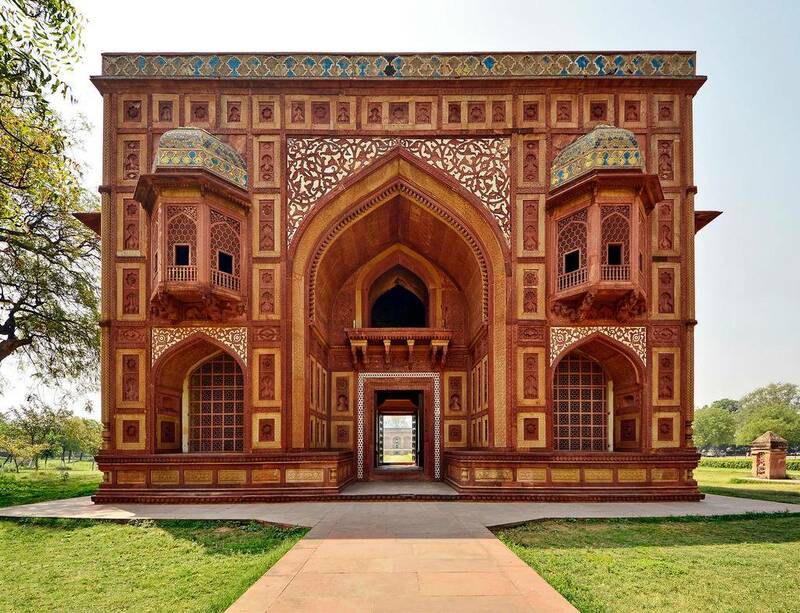 It is one of the finest examples of architecture of the Mughal era. 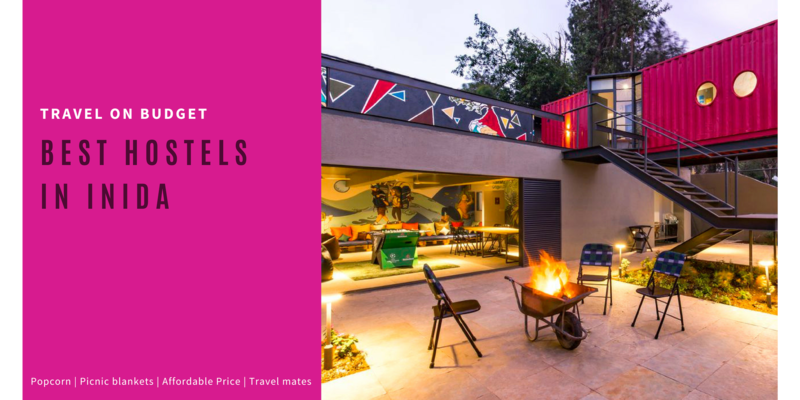 It got its name from the beautiful tile work on the red stones that adorn its walls which makes it one of the finest unexplored historical places in India. Where: It is situated at a little distance, on the eastern side of the main (southern) gateway of Akbar's Tomb at Sikandra which is quite famous in the city. Amidst the beautiful sand dunes and majestic desert of Jaisalmer is Bada Bag which literally translates to 'Big Garden'. The place is a garden complex and the beauty of this complex lies in the many royal chhatris or cenotaphs which are basically empty tombs built in the memory of a near one. Where: 6 Km off the Jaisalmer city on Ramgarh Road. Take a cab or hire a Rickshaw from Jaisalmer. This submerging and emerging wonder of Incredible India is truly is a marvel in itself. The birth of the Rosary Church, Shettihalli, dated back to the 1860s and rests on the banks of Hemavathi River near Hassan. 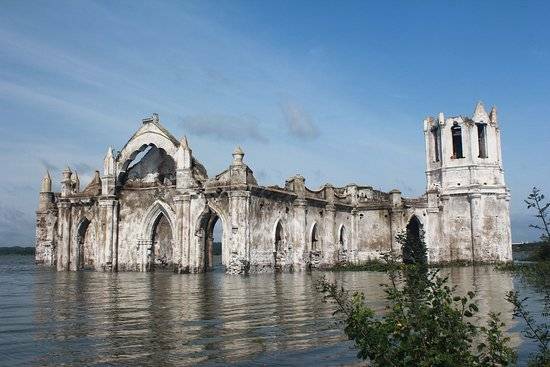 You can never see this fascinating structure in a piece as this beautiful church built by French Missioners, is said to submerge during the rains and emerge again once the water has receded. A true gothic piece of historical significance is this unexplored wonder. And, no it's not some set straight out of Game of Thrones but could have been! Where: Shettihalli Church is located 2 km from Shettihalli, in Karnataka. Hourly buses leave from Hassan’s bus station to Shettihalli until 4:00 pm You’ll have to walk through for 5 to 10 minutes to get to the ruins. Or you can take a Rikshaw to take you there and back and can ask it to keep waiting which would cost you a lot more. Daman and Diu have always been a part of our geography and GK books as a Union Territory. But, to be frankly speaking we have only a limited knowledge on the city. 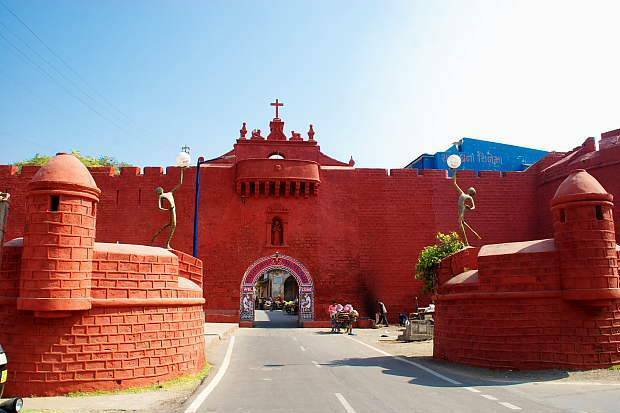 Zampa Gateway is a major landmark of Diu which is painted in bright red color and recognized as a monument of national importance in Daman and Diu. Red color Zampa Gateway is the most visited place among the other tourist attractions in Diu but still one of the unexplored historical places in India. Where: It's the main town's gateway and you are sure to pass it when you enter or leave the city. It hems in the west side of Diu. 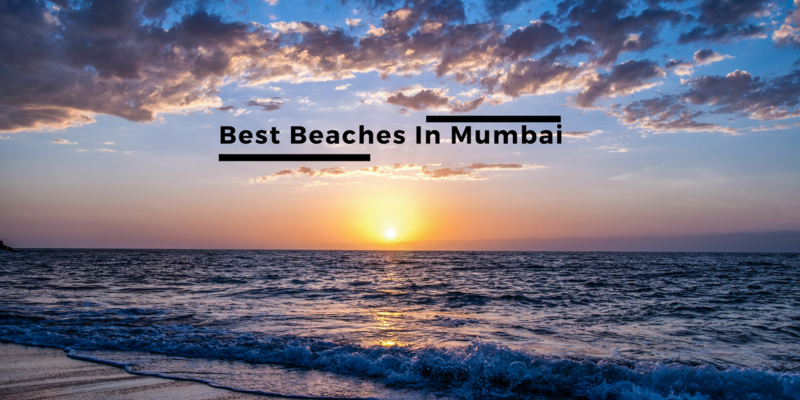 Beaches, parties, drinks, and dance is what defines Goa. Hardly anyone visits Goa for its historical significance. But, if you are one of those travelers then you are in for a luck because one such unexplored historical places in India is in Goa itself known as the Arvalem Rock Cut. The place is also known as the Pandavas Caves and these caves are 36Km away from the capital Panaji and are built around Buddhist architecture. Where: Arvalem caves are located 9 km. to the south of Bicholim town along the route leading to the Arvalem waterfalls. The area on both sides of the road is heavily forested. You can hire a cab or bike to reach the caves. There are no buses traveling to this place. Buses, however, travel to the nearby town of Bicholim. From there you can take a cab to the Arvalem caves, waterfall, and the Rudreshwar temple. With such rich heritage, these are bound to be 100s of years of buried civilization in our rocks which frequently emerge out as caves and become a significant door to the past. 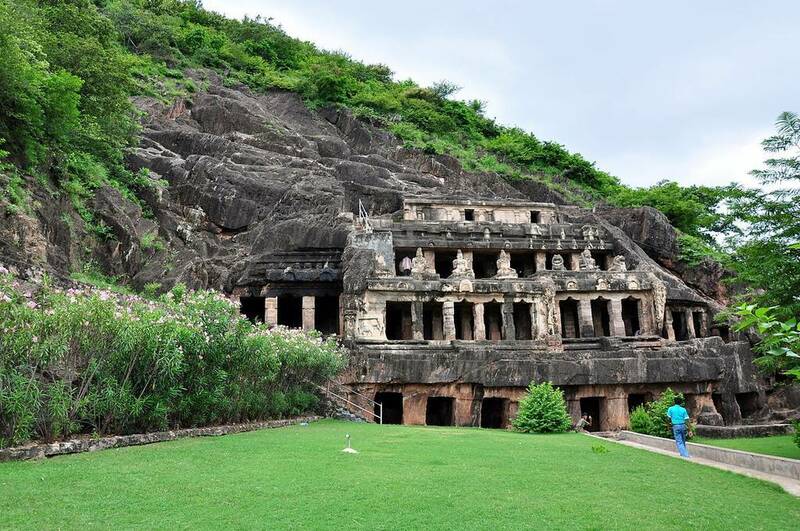 One of such unexplored historical places in India is the Undavalli Caves in the Guntur district of Andhra Pradesh. The Undavalli Caves are one of the best examples of Indian rock-cut architecture. The caves are best known as the 'four-story cave' and have a huge recreated statues of Vishnu. Where: There is no entry fee, and the attraction remains open from 9:00 AM to 6:00 PM on all weekdays. It is on the Penumaka-Vijayawada road, near Prakasam Barrage, Guntur, Andhra Pradesh. It is well-connected via road network with all the major cities of the state as well as the neighboring states. Once you reach Vijayawada, taxis, autorickshaws or the local buses are the best options to reach the attraction. For all those enthusiasts who love to visit haunted spots, this one is for you. You are one brave mighty soul if you visit one of the most haunted places in the country which is Bhangarh. The fort has numerous stories and myths of how the place came to become haunted. The tall trees, eerie looking buildings and the cloudy climate would do no help to boost your courage. Till 5 in the evening, this place is a picnic spot. But, by night, the whole place is empty except for a couple of priests who roam around the fort with lanterns. Where: The nearest airport is the Santander airport in Jaipur which is at a distance of 56kms from Bhangarh. The nearest railway station is the Dausa railway station located at a distance of 22kms from Bhangarh. It is well connected by road and there are many public buses which can take you there. 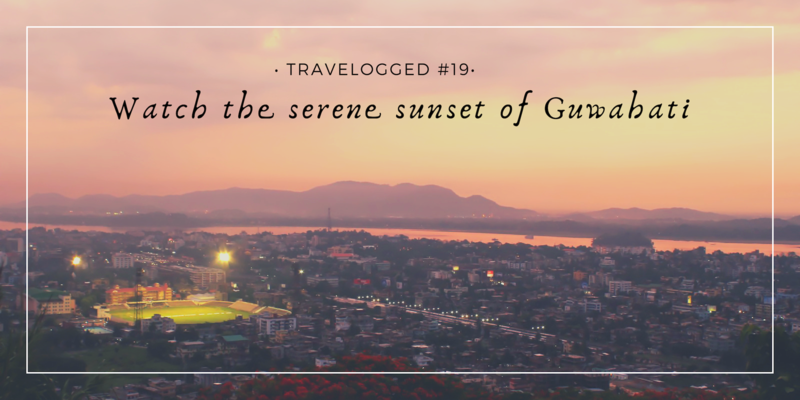 Apart from its beautiful hill stations like Mussoorie and Nainital, the state of Uttarakhand is known as the 'Temple City'. 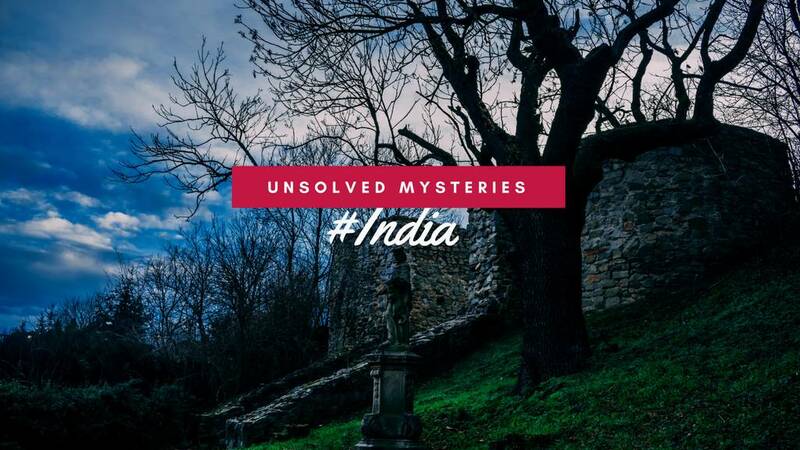 So, it's not a doubt that there are unexplored historical places in India in Uttarakhand. Jageshwar which is a little away from Almora is a very interesting place of Kumaoni heritage. The place is blessed with 124 temples dedicated to Lord Shiva which date back to as old as the 9th Century. It also has numerous medieval Hindu architectural structures which are as old as the 4th Century. The Himalayan forests provide a great setup for a beautiful scenic spot. Where: By Air, you can reach the Pantnagar airport as it is the nearest airport to the city and by rail, the closest railway station to reach Jageshwar is Kathgodam. A fairly new piece of structure as compared to the rest, the Independence Cellular Jail in Andaman Nicobar was better known as the 'Kala Pani' by our grandparents and their ancestors. We have all read about it in our history books but hardly ever we thought about visiting or considering a jail as a historical marvel. These solitary cells are found in Port Blair were used by the British rulers to send the prisoners of the country in the 19th and 20th century. The place now is a tourist spot and has a light and sound show to explain the lives of prisoners in this cell before independence. 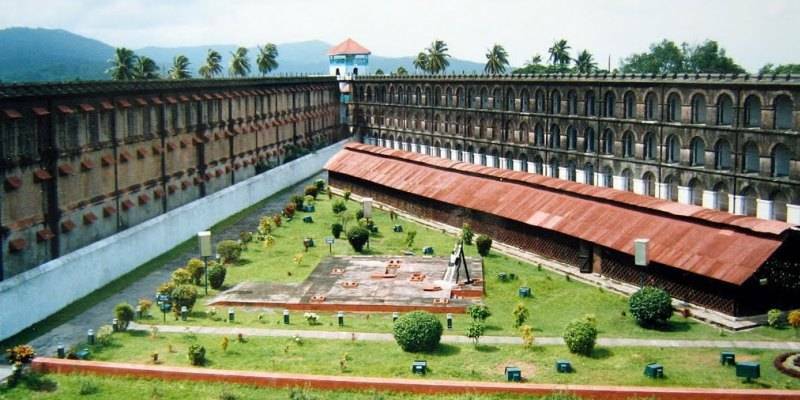 Where: The famous Cellular Jail of Andaman is located in Port Blair, the capital of the Andaman Nicobar Islands archipelago. 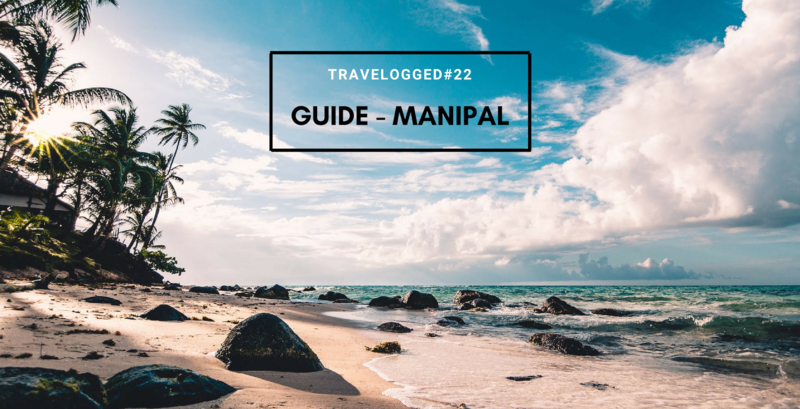 There are two ways to get to Port Blair – by air and by sea. Local buses, taxis, and autos can be hired to get around within Port Blair. This world heritage site recognized widely by the world but not by the history travelers of India yet, was built by a widowed queen in memory of her husband. Yes, Taj Mahal is not the only monument symbolizing love in the country. The place is filled with secret tunnels and caves in the fort itself. The steps in this inverted pyramid-shaped structure take you 27m below the ground level and make you feel eerie of the surroundings you find yourself. The sculptures and painting on the walls are of different gods and goddesses. 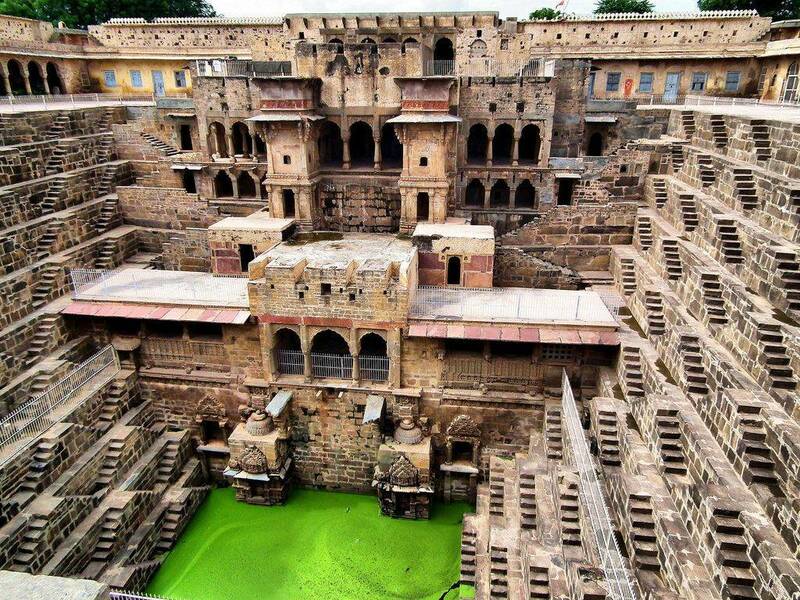 Personally, this place is one of the most remarkable and Unexplored Historical Places In India that one must witness. Where: Frequent direct buses from Ahmedabad (135 km, 87 INR, 3 hours). Plenty of eating options in the main market. Cold beverages are another delight. An archaeological park preserved for a 1000 years? Yes, that's possible. The Champaner Pavagadh Park in Gujarat has been preserved for more than thousand years. Not just one, but you can see the structure influence of various cultures and religions which showcases a beautiful blend of all the rich religions in India. The top catches here are the temples, bastions, mounds, tombs, and others. Where: The nearest airport is in Vadodara (42 km). Vadodara Railway Station (48 km) is the nearest railhead. The place is well connected with major Indian cities through NH-8. From Vadodara, one can take buses for Champaner and Pavagadh Archaeological Park. Last but not the least is this small meteor lake which is surrounded by numerous ancient temples and monuments which are as old as the 6th century in Maharashtra. It is a surprise that this magnificent place is still of the unexplored historical places in India. It is a common Hollywood and local movie spot and the beauty of the place is unbeatable. It does not doubt that the beauty of the place is incomparable to any else. This lake is located 140 km away from Aurangabad. 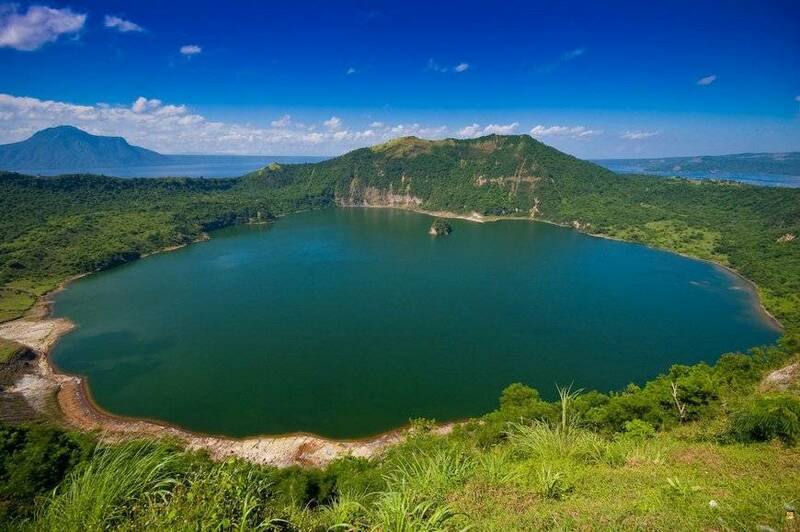 Where: The nearest airport from Lonar Lake is Aurangabad Airport, located 157 km away. One can hire a cab from the airport to reach the lake. The nearest railhead is Jalna, located about 90 km from Lonar. One can hire a cab for the further journey. 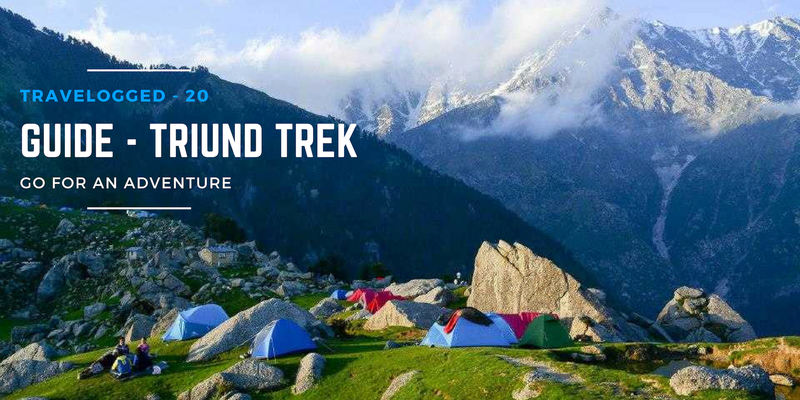 So, pack your bags and be ready for an adventure of a lifetime exploring all these unexplored marvels of the historical places in India. We are sure you don't want to miss being part of this rich heritage of India. Q. Which historical monuments are in danger of acid rain? Q. How to save historical monuments of India? 4. Prevent ourselves and others from scribbling on the walls. 5. Participating in the regular Cleanliness Drives. 6. Being a part of the ‘Adopt a Heritage’ initiative. 7. Spreading awareness around about these monuments and their importance.